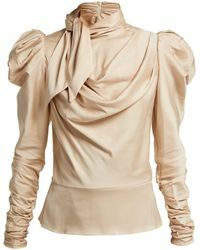 When it comes to looking effortless and feminine at once, it’s hard to go wrong with a draped blouse. 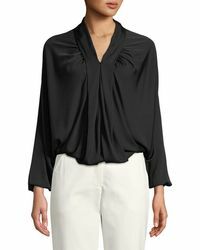 Whether you’re dressing for day or night, there are plenty of pieces to choose from – take Sara Battaglia’s crisp cotton blouses that are perfect for the office, or Ellery’s wrap-front satin styles that will pair perfectly with tailored pants or midi skirts after dark. 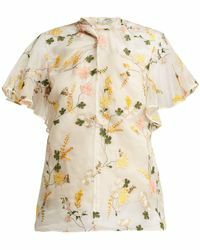 The options don’t end there; Tibi, PAIGE and Vince and more have draped blouses for every occasion. 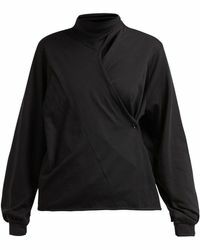 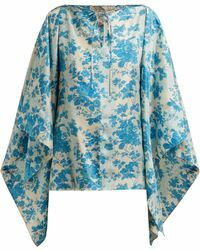 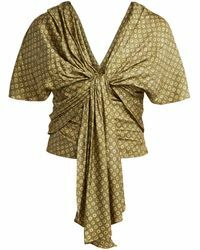 Showing 3,067 results for "Women's Draped Blouses"